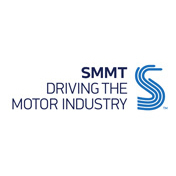 On Tuesday 28th June senior figures from across the automotive industry meet for the annual SMMT International Automotive Summit in Westminster to listen to leading industry thinkers from across the globe as well as home-grown experts. Securing finance and investment is high on the agenda. The industry has had a major boost in recent weeks with huge investments announced by BMW and Nissan, but is the wider industry able to secure similar funding? The UK is home to some of the world’s biggest automotive brands and a key theme of the conference is what the UK can offer to the global motor industry. The Summit will ask vehicle manufacturers to address how the industry adapts to an ultra-low carbon future. With a number of all-electric cars being launched in the UK this year, the Summit will look at whether it is doing enough in developing alternative forms of energy driven cars and what the government is doing to support it. Whether you are an investor in the business, a manufacturer or supplier to the British car industry or just have a passionate interest in the topics being discussed, Paul Everitt, Chief Executive of the Society of Motor Manufacturers and Traders, Richard Parry Jones, Co-Chairman of the Automotive Council and Chas Hallett, Editor-in-chief of What Car? will be online from 13:45 on Tuesday 28th June broadcasting live from the summit on the 29th floor of Millbank Tower. Join them as they debate the issues and have your chance to voice your view. Join Paul Everitt, Chief Executive of the Society of Motor Manufacturers and Traders, Richard Parry Jones, Co-Chairman of the Automotive Council and Chas Hallett, Editor-in-chief of What Car? online at http://www.studiotalk.tv/show/smmt-international-automotive-summit-live-debateon Tuesday June 28th at 13:45.